Hiya guys. I'm so pumped and excited about today's blog post and swatches. Last week I received some hard news that has spun my mind out of control. Austin (my husband) wanted to give me something else to focus on, so he surprised me with the Louboutin Scarabée II Violet Blue polish! I got myself a good man, he obviously knows how to stun me like no other. I will preface this post by saying I'm by no means a luxurious person nor do I live a glamorous lifestyle. This was a really special gift from my beloved because he knows what my anxiety is putting me through the last few weeks. Enough talking though, let's see the swatches! So far this makes three Louboutin polishes in my collection and my first limited edition one. The Scarabée Collection by Christian Louboutin consists of three LE polishes, each one retailing at $50. Considering my other two Louboutin polishes are both cremes, this duo-chrome unicorn is absolutely irresistible. I'd be lying if I didn't say I was already scheming up a way of getting the other two in this collection. 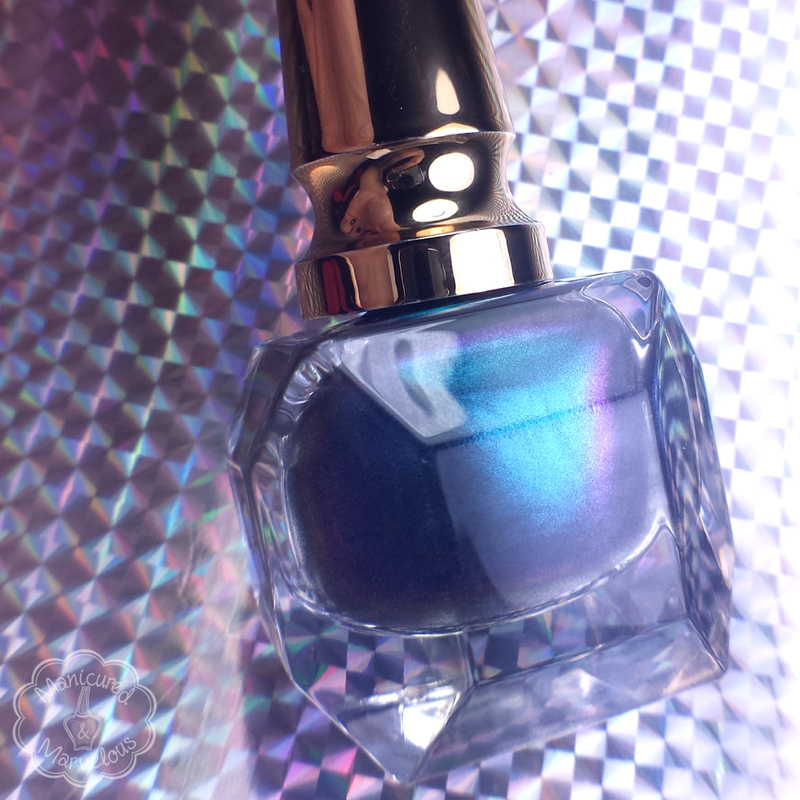 Violet Blue by Christian Louboutin can be described as a dark teal blue duo-chrome that shifts to a plum purple. Such a luscious shade. I feel like I could wear this every single day. The formula is very opaque, but there is some patchy spots that make it need a second coat. It has a relatively quick dry time and dries to a natural shine finish. Brush strokes are a little on the visible side as is common with metallic finishes. Shown here is two thin coats sealed with Seche Vite topcoat. And what swatch session would be complete if I didn't include some macro action. You can clearly see the duo-chrome action in the macro photo. It is such a strong shift with only the slightest angle movement. 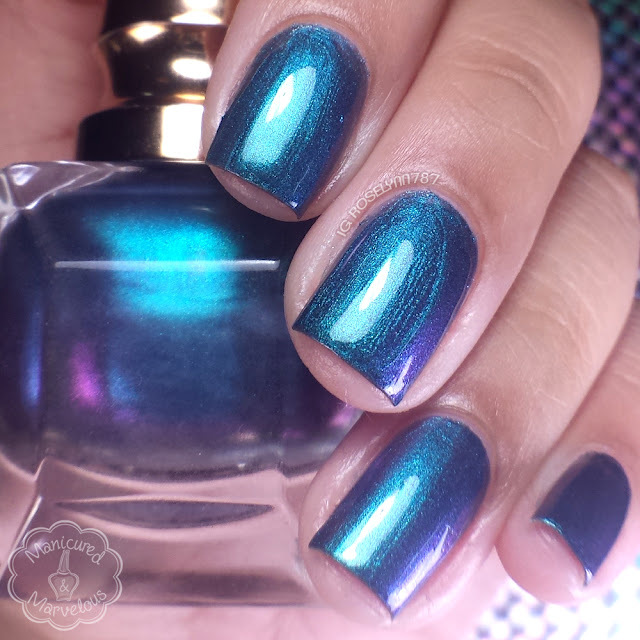 Realistically speaking, do you need this polish in order to have a flawless duo-chrome? There are plenty of other polishes (especially in the indie world) that accomplish the same finish. I own a few of them myself! When you're buying this polish, you're buying the brand name and the prestige associated with it. All I'll say is that I'm not here to pass judgement on what we should or shouldn't buy. At the end of the day, this was a generous and beautiful gift from my husband. Some women get flowers, others get jewelry, and this girl right here gets nail polish. So tell me guys, what do you think of this polish? Do you own any luxury polishes like this Louboutin beauty? It's gorgeous! I'd love to own at least one of these someday. I got the red one for Christmas...still haven't used it! What a very nice gift indeed! 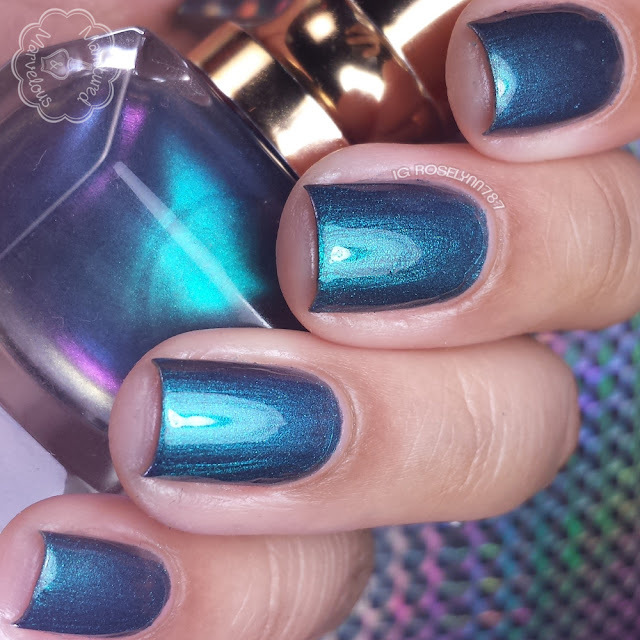 This color is super pretty inside the bottle as well as on your nails. He has good taste!! Wow!!! This is a pretty one indeed. Lovely color and finish. This is def a great gift. Well he knows how to pick a good one. I´m drooling over that macro shot! I really need to grab a Louboutin polish some day, looks like such a treat! Beautiful!! I'm going to allow myself one Louboutin polish, but I can't decide on a color. I would want it mainly to be a show piece. 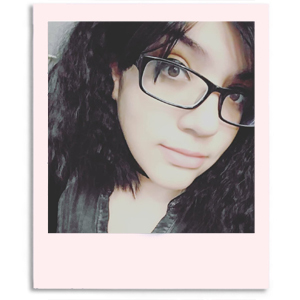 I decided the same and since this was LE, I decided this was the one. I ordered it from Nordstroms, it was sold out at Sephora. 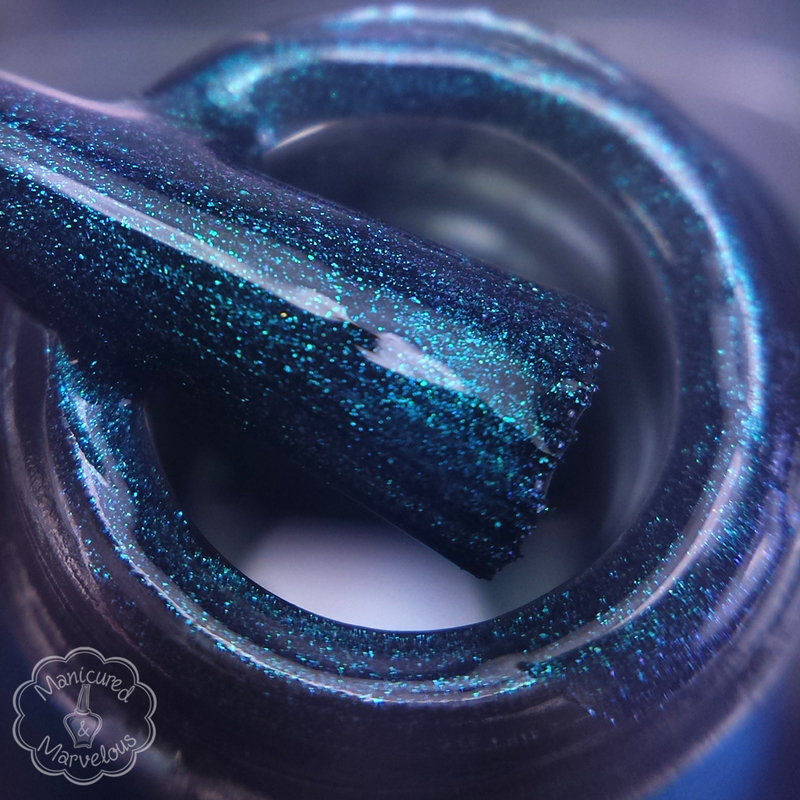 This is a gorgeous duochrome! And such a sweet thought of your hubby for you! Such gorgeous polish. You are lucky to have such supporting husband. So thoughtful of your husband! It's gorgeous on you. I haven't seen a duo-chrome Louboutin before, it's gorgeous and the bottle makes it perfect! Oh gorgeous! What a wonderful man you have!! It's a gorgeous polish. You sure got the perfect man! And hugs for everything you're going through <3 Together you'll get through it! Awe how sweet of your husband! I don't own any but eventually I will. Even if it's just one. This is a gorgeous color but I could not spend $50 on a polish. I max out at $20. That is spectacular! I love the Zoya polishes for a similar look. But man, that bottle is beautiful. Stopping by and following you from the Let's Be Friends linkup.